"Welcome home to MURRAY GREEN! 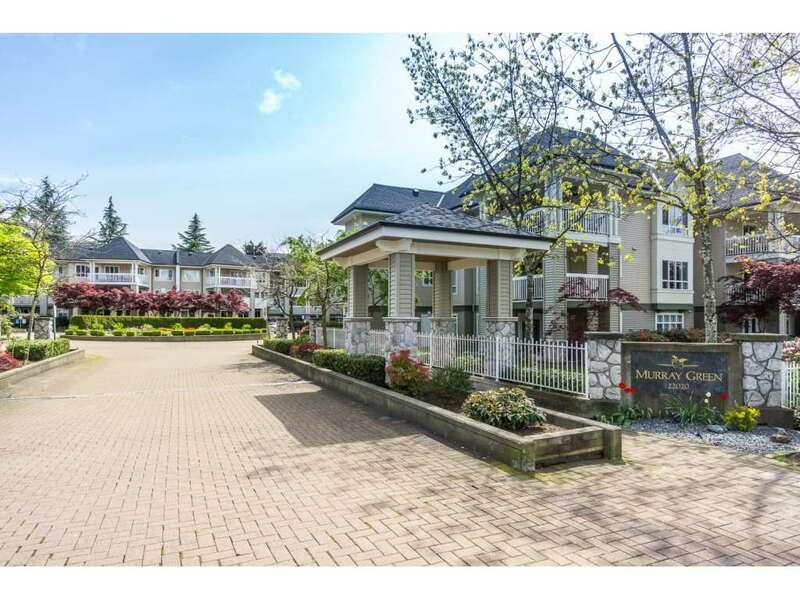 Ideally situated in upper Murrayville close to shopping, transit, WC Blair and more! Worry free complex has a new roof, gutters and exterior paint! This 2 bedroom 2 bathroom unit faces into the quiet courtyard and offers an open plan with a large living/dining room area and eating bar. Bedrooms are situated on opposite sides of the unit, with the master featuring ensuite and walk in closet. 2 parking spots, storage locker plus your gas fireplace and hot water are included in the strata fee of $293.69. Open House Sat May 6th 1-3"